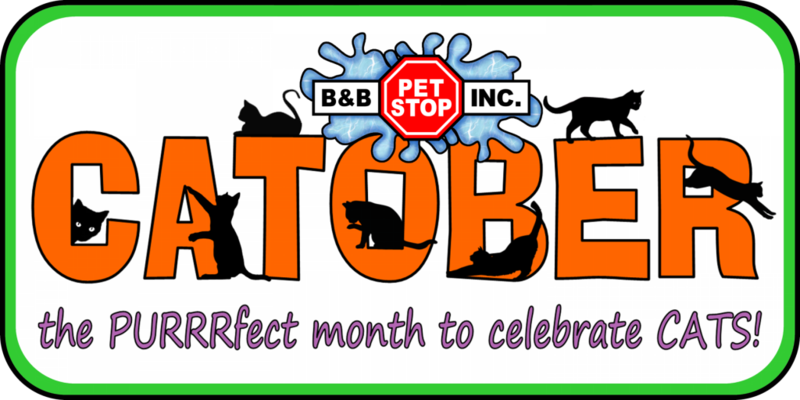 October is the PURRRfect month to celebrate CATS! Stop in to save on cat stuff all month long. Specials on cat stuff ALL MONTH long! Get a prize ticket for every cat item you buy – you could win a prize – including SIX MONTHS free cat food!! The drawing will take place on November 1st. You do not have to be present to win – we’ll call you! !